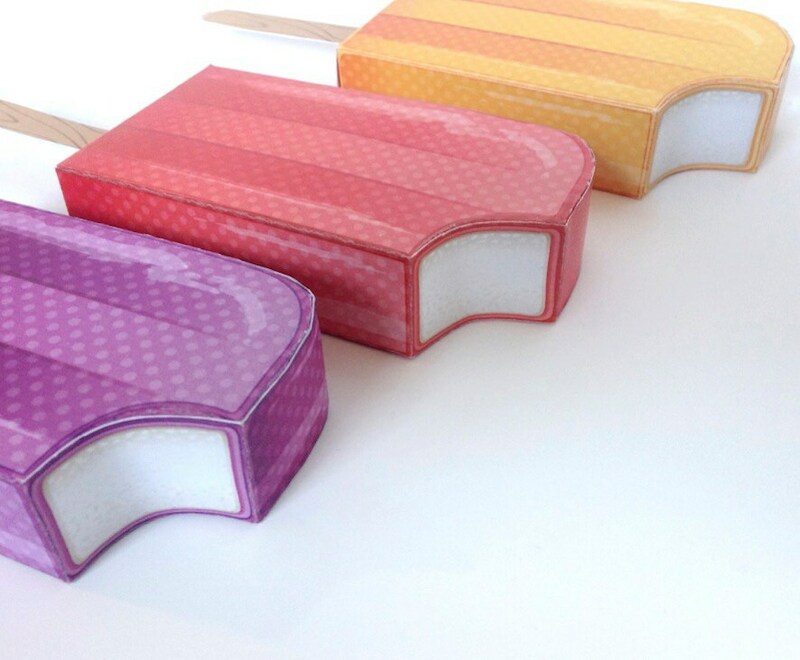 (¸.·´Whether you say Ice Lollies, Ice Pops, Popsicles or Creamsicles these delicious favor boxes are easy to make & look good enough to eat! 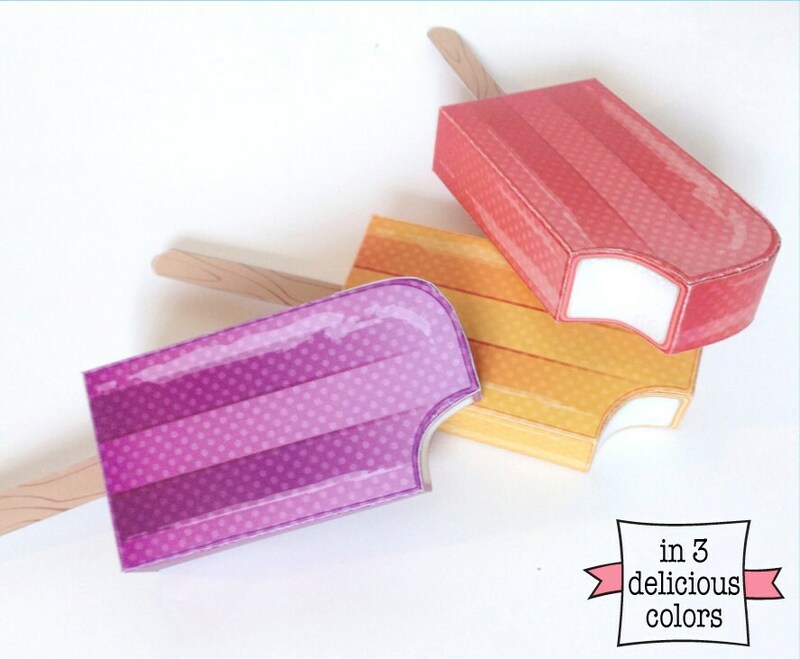 Included with this kit: Grape Creamsicle Box ★ Cherry Creamsicle Box ★ Orange Creamsicle Box ★ full-color photo step-by-step instructions. NOTE: For best results, use the free Adobe Reader, especially with editable PDFs. You may print as many as you need. Each page fits within an 8.5”x11” letter or A4 paper, and 110lb cardstock is recommended. 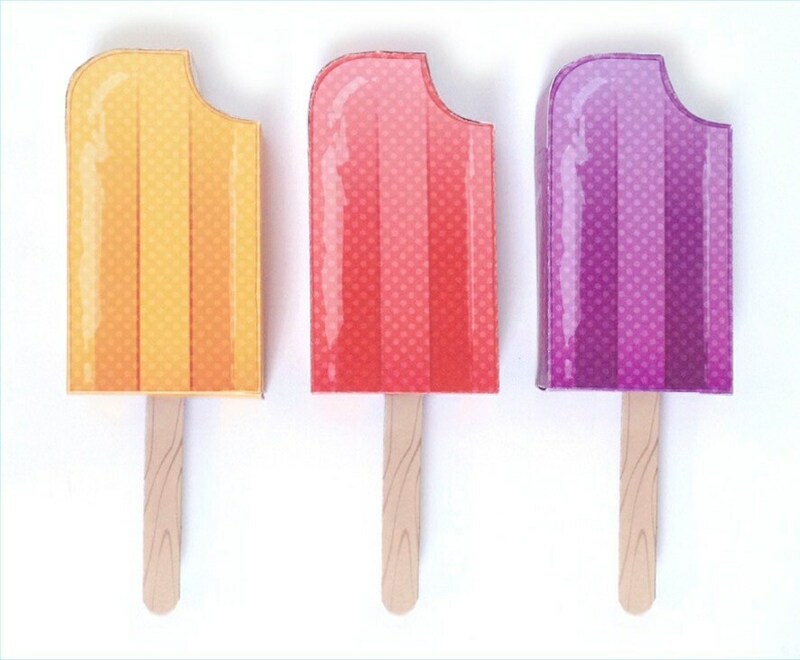 When assembled, box measures: 2 3/8"w x 1"d x 4 5/16"h.
Everyone will love the delicious colors and flavors of these party favors! 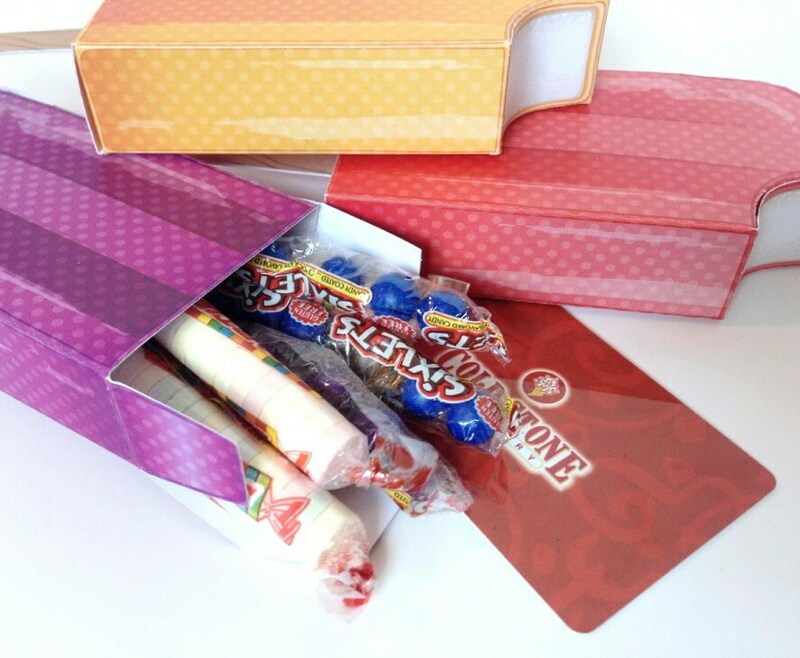 Each will hold small candies of all sorts, gift cards, small gifts, goodies or use as a paper toy. And don't forget to keep a few on hand for those “just because gifts”... 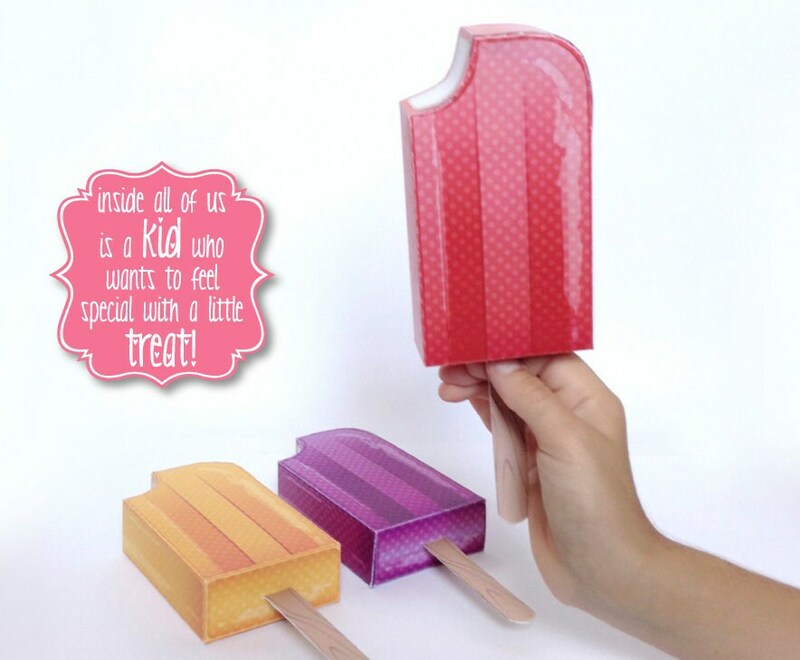 Perfect for kids of all ages to cool off with in the hot summer weather!